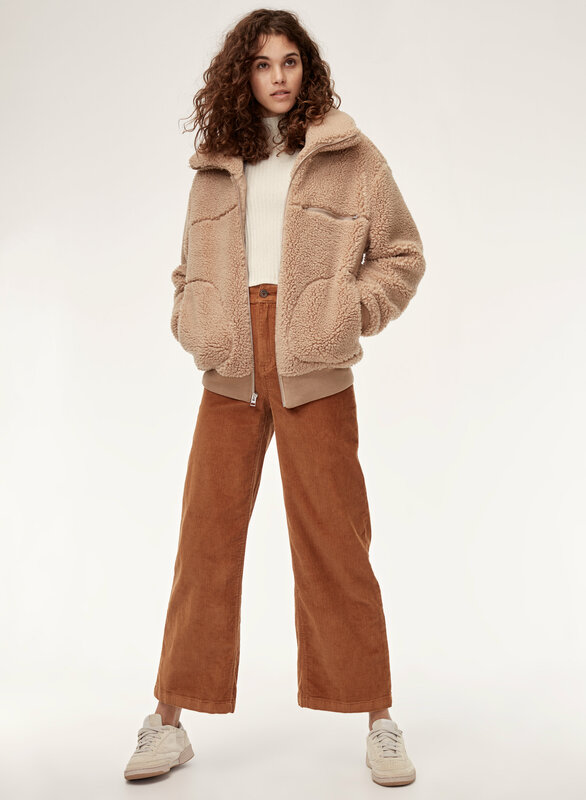 Styled with the teddy jacket and hayley pant . 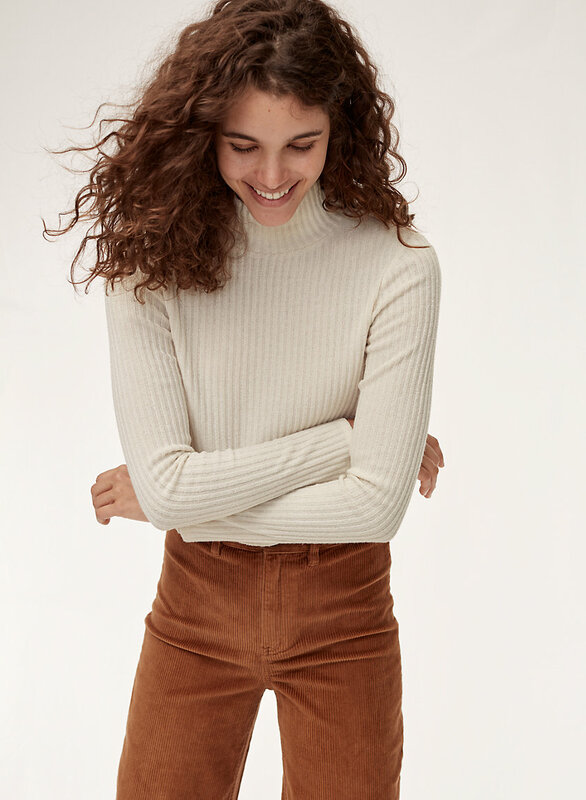 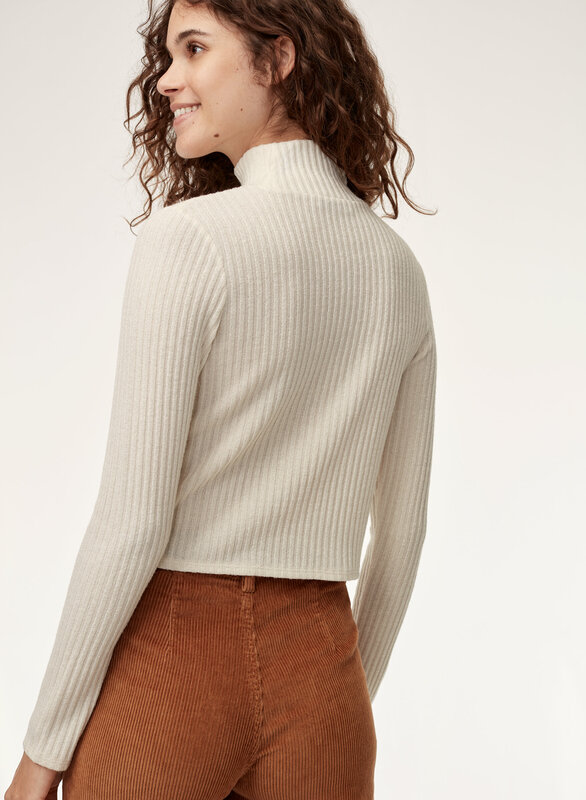 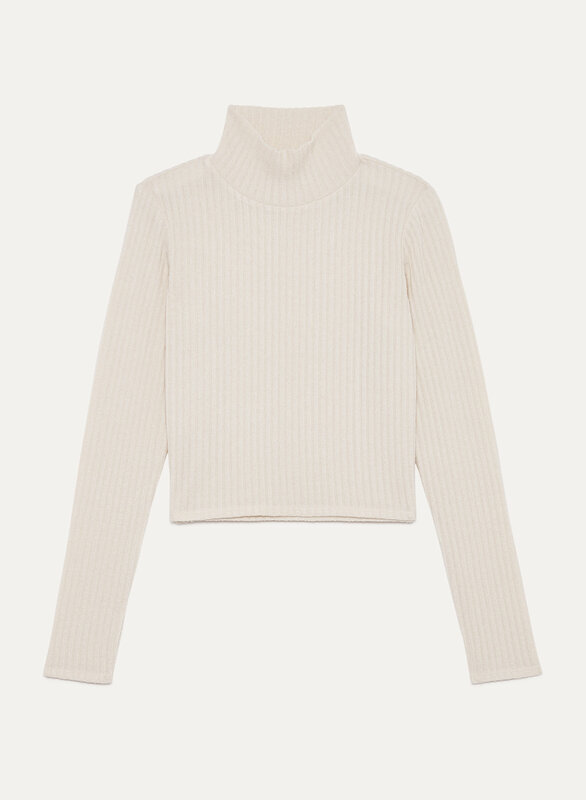 Soft and textural with a snuggly fit, this cropped turtleneck is the ideal match for a '70s inspired mini. 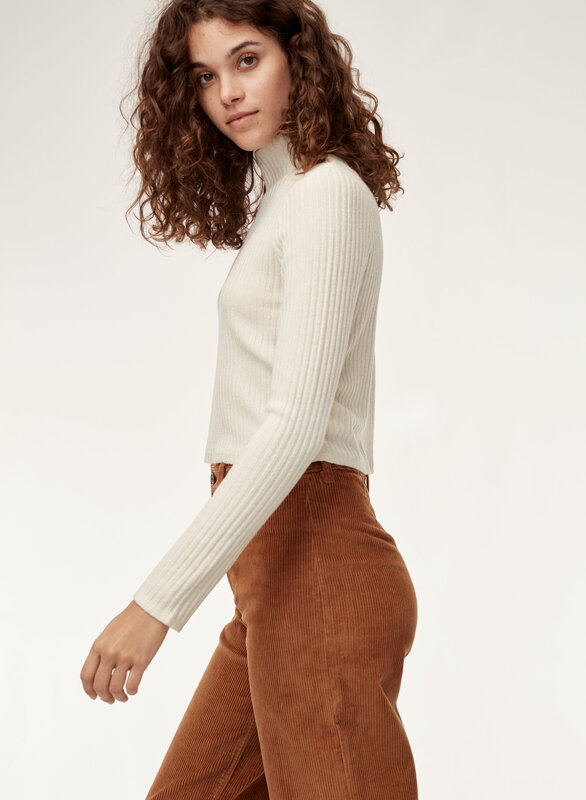 Bonus points for accessorizing with a slim volume of poetry.